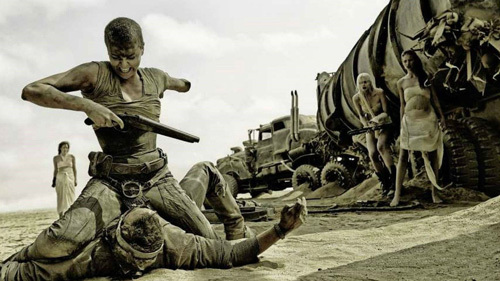 Mad Max: Fury Road is a Masterpiece. It is a tentpole of film making that stands among the very best films ever made. I say this knowing full well that I sound as if I am drifting into the realm of hyperbole. Truth is though, very few films have ever surprised me and stuck with me in the way that this film has. I won’t turn this into a long, gushing post about my thoughts on the film. I will however point you to the latest episode of the Geeks of Steel Podcast where I get into a pretty deep spoiler-free discussion of the film and the effect that it has had on me. I will also say that this film is a much needed wake-up call for fans of action films. For the past few decades we’ve been gently lulled into accepting big, splashy, ridiculous CG effects and have completely forgotten just how much emotional and visceral impact the real thing can have on us. And having just seen a 70-year-old director who has not made an action film for 30 years come in and do something that directors half his age could never conceive of, I am truly inspired and invigorated as I continue in my own humble pursuits. I implore everyone to please check this film out while it is still in theaters. It has had a bit of a sluggish showing in the box office thus far despite it’s critical acclaim and I really want to see hollywood encouraged to make fewer films like Transformers 4 and more films like Fury Road. Couldn’t bloody agree with ya anymore! Hopefully it’ll be a wake up call to other directors to use CG as they did, painting out the safety equipment to make the stunts safer rather than doing the stunts. Big fan of the podcast btw!